Disposable Overall - Semi-durable polypropylene material protects clothing from accidental splashing and dirt. Site clearance, tree felling and log cutting - we offer a choice of chainsaws that are more than capable of doing the job. 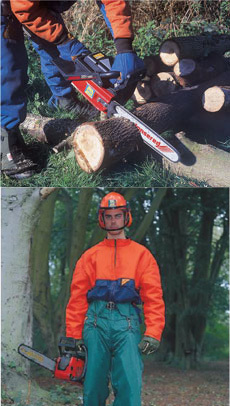 For log cutting and work in small gardens, our electric model is extremely easy to use. For more demanding jobs away from a power source, we offer a 2-stroke petrol engined saw. Electric Chainsaw Hire Pack (62842): Includes Electric Chainsaw, Stump Grinder & Safety Kit - Save £99.10 per week! Petrol Chainsaw Hire Pack (62838): Includes Petrol Chainsaw, Stump Grinder & Safety Kit - Save £89.40 per week!